So as you can see, it is simply trying to insert Fluent Automation API in the search box of a Google page using FireFox. 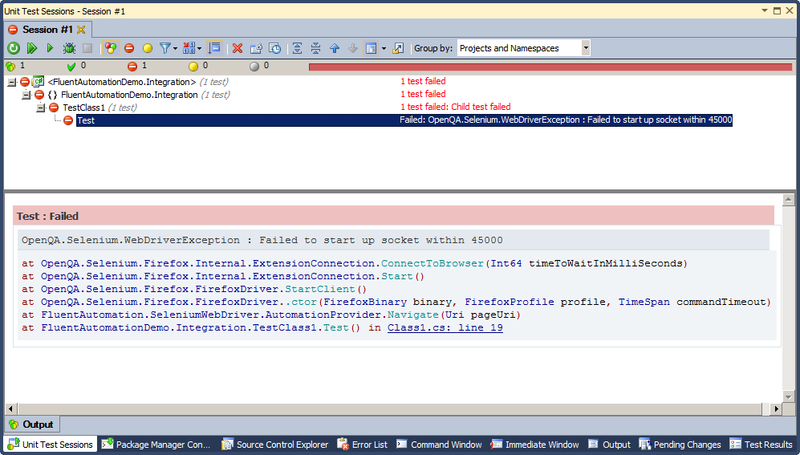 It seems the Selenium WebDriver does not support the latest version of Firefox which is at the time of writing: 8.0.1. 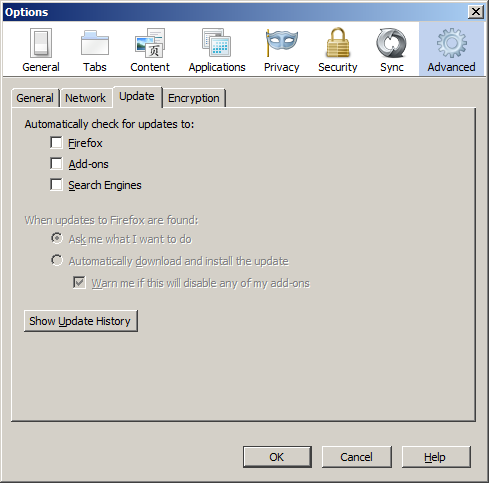 A workaround is to downgrade to Firefox v7.0.1. By default the Firefox settings it set to auto update to the latest version available. You can turn this off thankfully. To turn off the auto-update feature, simply un-tick the Firefox check box as in Figure 3 below, then click OK.
Rerun the unit tests and all should be well. /// Initializes a new instance of the <see cref="StructureMapFilterProvider"/> class.